In Prague, the Railway Infrastructure Administration (SŽDC) started the construction of a new railway corridor between Hostivar and Vršovice. Construction of the first domestic four-track line will last until 2021. An association of Metrostav, Swietelsky Rail CZ and SMP CZ won the tender for 4.4 billion CZK. Construction works are already in full swing and our joint stock company is also intensively involved. 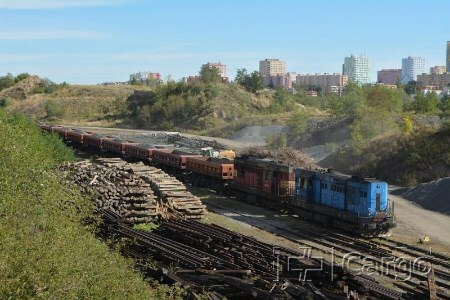 CD Cargo freight trains are carrying gravel temporarily to the stockpile. The employees of CD Cargo, concretely of the Operational Unit in Prague, also provide the unloading of gravel from the special dumpcar wagons.